Calcium is not the only substance needed to form the skeletal material of corals and allow calcareous algae to grow. 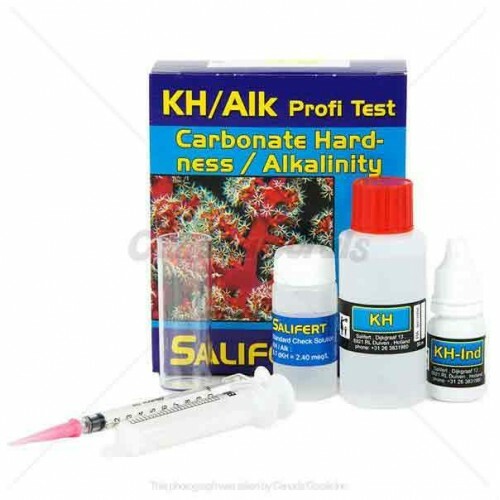 Carbonate and bicarbonate are needed and these two substances can have a major effect on stabilizing pH levels in the aquarium in the correct range of 8.1 to 8.4. Calcium is a major constituent of coralline algae, the skeletal material of hard corals and the skeletal needles of soft/leather corals. 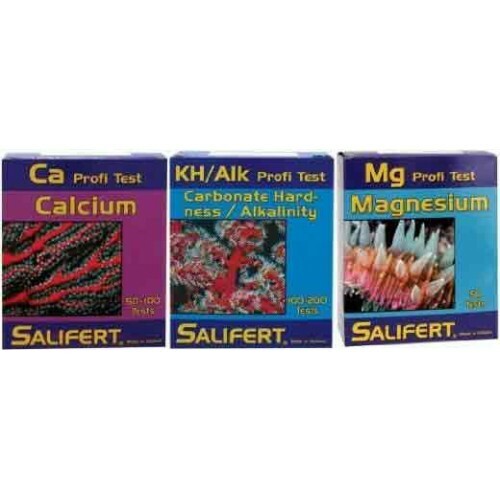 In many cases too low levels of calcium concentration retards coral and coralline algae growth. Mgnesium is the critical chemical buffer for bicarbonate, calcium and alkalinity. 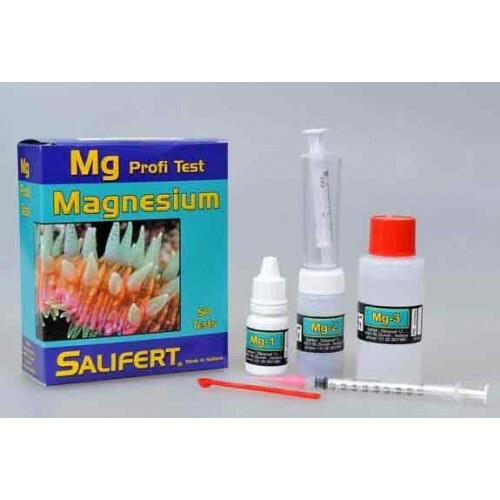 Magnesium also introduced to help stabilize the ph in an aquarium. This in turn leads to an unbalanced calcium and alkalinity ratio. Magnesium should be maintained at levels of 1200 ppm in an average aquarium. Adequate for up to 50 test. 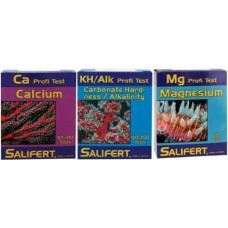 Salifert Magnesium can be used to test saltwater and freshwater aquariums. 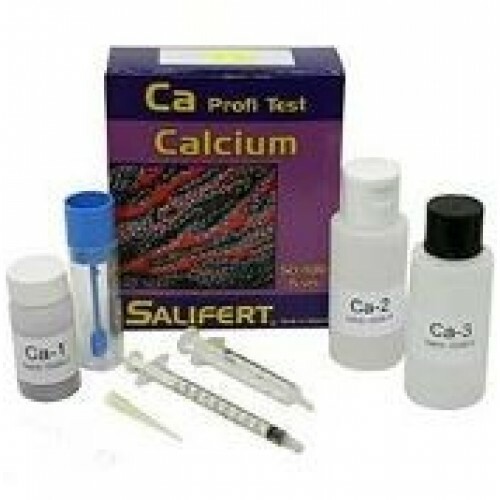 Should be used to test weekly if not daily to maintain proper Magnesium levels. The magnesium levels should not deviate + - 50ppm.